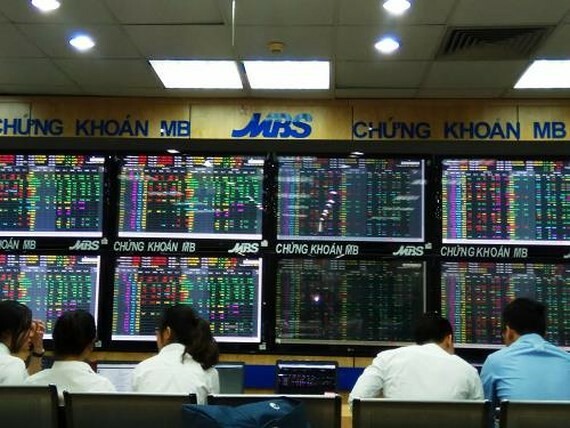 The Vietnam’s stock market nose-dived on March 25 to open week in red as investors dumped blue-chip stocks heavily due to bearish sentiment caused by global securities market. The market sometimes recovered thanks to bottom fishing. However, by the end of the trading session, selling pressure became stronger, causing several large-cap stocks to plummet. Of which, VHM lost 2.3 percent; VIC fell 2.9 percent and VRE sank 4.7 percent. The Vietnam’s benchmark VN-Index retreated 18.64 points, or 1.89 percent, to close at 970.07 points. Among the index members, 78 stocks increased, 236 decreased and 43 stood still. The HNX-Index of the smaller bourse in the north shrank 1.68 points, or 1.56 percent, to close at 106.41 points with 57 winners, 121 losers and 47 stocks remaining unchanged.